The world might come down tomorrow according to Mayan calendar. Actually the Mayan never predicted an apocalypse, but a reset sure would be nice, at least in politics. There are many of unlikely astronomic mishaps which could happen, but I am convinced mankind’s stupidity is on the very top of the list.The vigesimal system (that means that the number 20 was the basis of their arithmetic system of time-reckoning that produces the Mayan Long Count, a continuous count of the days from mythical beginnings (and is responsible for current fears that the end of the world will occur in tomorrow, December 21, 2012. 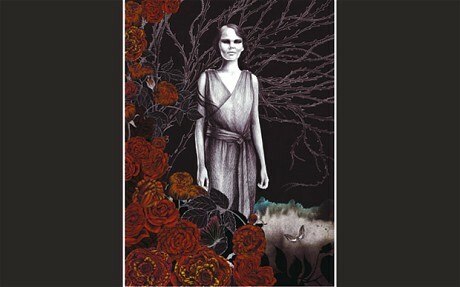 The article explores the 2012 Bak’tun apocalypse from a personal, astronomical and psychological level. The Maya worshipped a pantheon of nature gods, each of which had both a benevolent side and a malevolent side. The most important deity was the supreme god Itzamná, the creator god, the god of the fire and god of the hearth. Mayan rulers were seen as intermediaries between the gods and the people, and as semi-divine themselves like the Agyptian Pharos. They were buried in elaborate tombs filled with valuable offerings. The Mayan view of the afterlife consisted primarily of a dangerous voyage of the soul through the underworld, which was populated by sinister gods and represented by the jaguar, symbol of night. The majority of Maya, including the rulers, went to this underworld. Heaven was reserved for those who had been sacrificed or died in childbirth. Like in any ancient belief system, to the Maya, science and religion were one and the same. The Maya developed an impressive mathematical achievements included positional notation and the use of zero; and in astronomy, they accurately calculated a solar year, compiled precise tables of positions for the Moon and Venus, and were able to predict solar eclipses. That triggered a memory. Exactly December,20th 1988 we flew in to Cancun from SFO via Mexico City for Christmas holidays.I had picked up my then wife a day before at SFO airport. From the mid eighties until the early nineties I worked in Silicon Valley. My wife lived in Europe, because her work leave could not be extended and she did not want to quit her job. I remember picking up the tickets, the travel agent seem to be relieved, because the agency had tried to contact me numerous times but never reached me (no mobile then). “Is that your home phone” showing me a long telephone log … “yes ma’am”, I said … “but you are never there?”, “umm no ma’am”, I said. Reason was I managed a pretty hot project at that time and was quite busy in this year (and others to come). In Mexico, I had just booked a hotel for one or two days and a rental car which was a red VW (beatle). VW’s had been built still built there at that time. Cancun has wonderful beaches and the water has a unique colour. With all due respect, however, I did not care for the city because it was such a boring resort setting. We moved on fast. The water out of the pipe smelled like it was imported and the air condition in the hotel made me shiver. I am not a beach whale and it was the aftermath of a big storm, lots of palm trees gone and still high waves. So my to-be-ex wife and I – we got divorced 10 years later – set with the banged up red VW to a memorable journey all over Yucatan . Oh, did I say my luggage was delayed, I had to buy some stuff and borrow some of her t-shirts and trousers (she was slim then). Always a systematic traveller, she had learned enough Spanish to ask for directions, order food or book hotels and figured what we must see. First we went to Tulum, spent new year in Palenque, partying hard with a French group until the morning. Via Campeche we visited Uxmal continued to Merida. All historic sites are of great astronomical interest. In Merida I still remember a old hotel with a nice court yard and spicy food. Best Mexican food I ever had,and California’s food isn’t too bad Highlight was Chichen Itza and Palenque. Of course we saw the pink flamingos, hiring a boat. Chichen Itza, is a regional civic-ceremonial polity by the end of the 6th century AD. 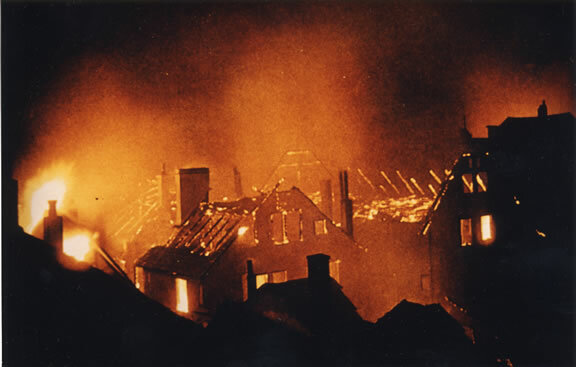 It developed towards the Late Classic and the Terminal Classic periods(roughly 10th and 11th centuries). It declined after 1221 (because of a civil war).Deep within the jungles of Mexico and Guatemala and extending into the limestone shelf of the Yucatan peninsula lie the mysterious temples and pyramids of the Maya. Without metal tools, beasts of burden or even the wheel they were able to construct vast buildings ina a jungle landscape with an amazing degree of architectural perfection and variety. Astronomical elements: El Castillo (Temple of Kukulcan) which displays the equinox phenomenon; El Caracol – the snail was for sure an observatory with wholes for solstice sunset alignments, sunset on the day of zenithal passage, the northernmost setting position of Venus, sunset at the equinoxes; the Great Ball Court (Temples of the Jaguar – pointing to the sunsets on April 29 and August 13); Las Monjas (pictorial representations of the Maya zodiac); Temple of Venus (iconographic representation of 8 solar years equalling 5 Venus cycles); Their legacy in stone lives on as do the seven million descendants of the classic Maya civilization. 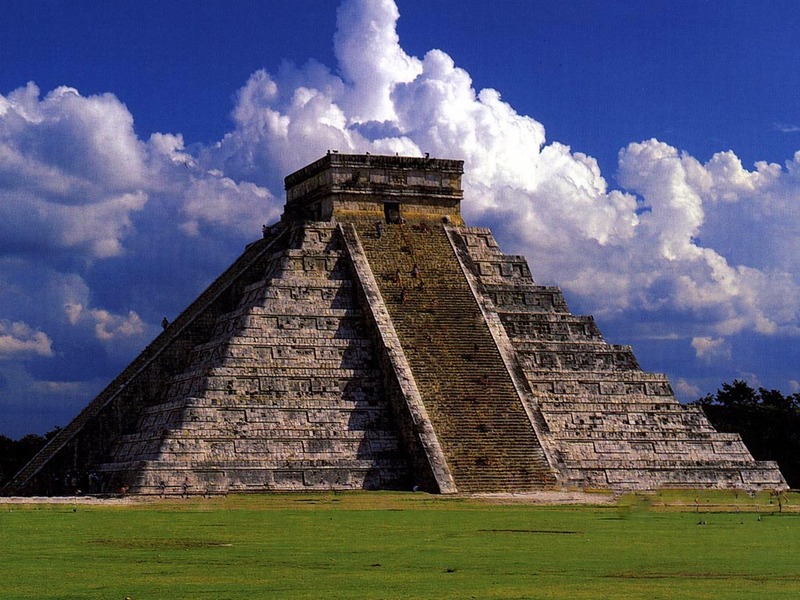 The name Chichén-Itzá is a Mayan word: CHI (mouth) CHEN (well) and ITZA (of the Itza tribe). The site is divided into three sections. The North grouping of structures is distinctly Toltec in style. Much has been written about it. We visited Chichén Itzá in late in the afternoon. Shown here is the central pyramid, also known as El Castillo, this spectacular, massive Mesoamerican step-pyramid. Built by the Maya sometime between the 1000 and 1200 AD, El Castillo served as a temple to the god Kukulkan and is believed to have served as a calendar. Each of the structures four stairways contains 91 steps. When counting the top platform as another step, in total El Castillo has 365 steps, one step for each day of the year. We also climbed on top of the pyramid and later visited the large ball court where Mayan men played a game in which each team had six field players who would attempt to pass the ball – using any body part except their hands – to their captain who would attempt the shot . The captain of the team that made the first successful shot was then decapitated as a sacrifice to the gods. One fact worth noting is the repetition of the number seven, which was also sacred to the Mayans. There were seven players on a team, the rings were seven meters high and if you clap your hands or shout in the court, the sound will echo exactly seven times. There are carvings on the stone walls that depict the ball players (some of which are remarkably intact) and after the captain was beheaded, it is said that seven serpents grew out of his neck. But the true mystery behind the ball court at Chichén-Itzá is the Mayan prophecy that on December 2012, the great warrior serpent Kukulkán will rise from the ground beneath the playing field and end the world for good. 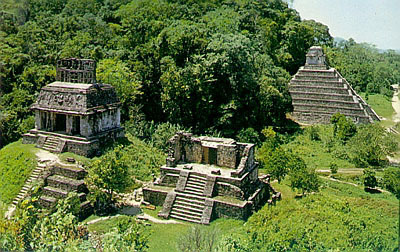 Palenque is one of the most important Mayan sites, it reached its height between 500 and 750 AD. Astronomical elements: inscriptions referring to the conjunction of planets (Jupiter, Saturn, and Mars and the Moon) and the birth of three ancestor gods and the First Mother, in July 690; the Temple of Inscriptions (with the tomb of Janaab´ Pakal); the Palace and the Group of the Cross. Records at the site suggest the site came under attack by another Maya center, Calakmul, in 599 and again in 611. The main point of interest about Palenque is not its size or age, as other sites are larger and likely much older, Its importance lies rather in its naturalistic sculpture, architectural inventiveness, and detailed epigraphic records. According to them the world will see a significant event but continue to exist after 2012 CE, since this date has just a spiritual meaning in the life of the ruler. As I remember, according to my travel guide one can see, birth , Accession, Death and Reign Post. 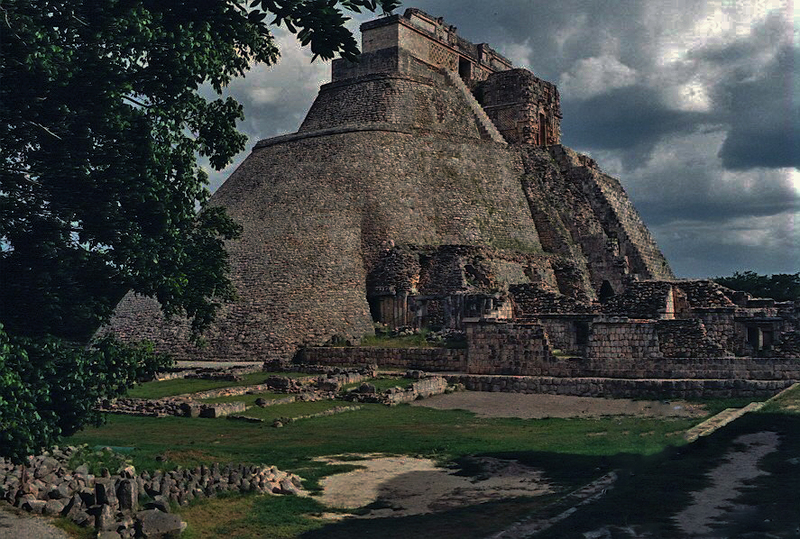 Uxmal is another major Mayan centre, built between about 700 and 1100. Astronomical elements: the Governor’s Palace (alignments to the Venus extreme positions, (eastward or westward), iconographic representations of the Venus cycle and of the Mayan zodiac; the Nunnery Quadrangle (astronomical imagery), visual re lationships between the most important structures as viewed from the top of the Adivino (Pyramid of the Magician). The Maya were a clever kind of folks. Pre-Hispanic Mesoamerica made perhaps the best examples of calendrical-astronomical speculations and computation ever made by the populations of ancient America.Their civilization got started several thousand years ago and reached its height by 900 A.D., spread over the Yucatan Peninsula and what is today Guatemala (I unfortunately was never there). They had a sophisticated culture and were adept in agriculture and architecture. They had a complex written language and a keen system of mathematics. They were excellent astronomers, understanding the patterns of the stars and planets in the sky. And, as described, they had an advanced calendar. Keeping time is of paramount importance to any civilization. The Maya used different calendars for different purposes The magic number is her 13th Bak’tun period – Mayans valued 13 and 7 and calcultated base 20 instead of the 12 most ancient astronomer used. The Mesoamerican calendrical system is displayed in the form of many different permutations, and expressed the universal laws governing the world as it was then conceived.he Maya understood 17 different Calendars based on the Cosmos. The calendars that are most important to beings of earth are the Haab, the Tun-Uc and the Tzolk’in. The Tzolk’in is the most important and the one with the most influence. The Haab is based in the cycles of earth. It has 360 + 5 days, totaling 365 days. The Haab uses 18 months with 20 days in each month. There is a 19th month called a Vayeb and uses the 5 extra unlucky days. Each month has it’s own name/glyph. Each day uses a sacred sun/glyph. The Tun-Uc is the moon calendar. It uses 28 day cycles that mirrors the women’s moon cycle. This cycle of the moon is broken down into 4 smaller cycles, of 7 day each. These smaller cycles are the four phases of moon cycle. Portal days (p), on the calendar provided marks days using mathematics of 28 and therefore have a connection with the moon cycles. The Tzolk’in is the sacred calendar of the Maya and is based on the cycles of 260 days. The cycle of the Pleiades uses 26,000 years, but but encompassing 260 days might allign the Venus cycle as shown below. The Mayas knew the importance of the period of 2920 days equal 8 years by 365 days, in which the Venus repeats its movement in relation to the sun, same as the Babylonian did. The “Dreseden codex” in Germany contains tables for predicting solar and lunar eclipses and ephimerides fro Venus and Mars for two rounds. The morning star was seen as a male deity. Venus war regulary abserved as said using sacred numbers 13 and 20. The 13 represents the numbers and 20 represents the sun/glyphs.The Tzolkin calendar was meshed with a 365-day solar cycle called the “Haab”. The calendar consisted of 18 months with 20 days (numbered 0-19) and a short “month” of only 5 days that was called the Wayeb and was considered to be a dangerous time. It took 52 years for the religious Tzolkin (13×20) and civil Haab (18×20+5) calendars to move through a complete cycle. We know from many other cultures, the year that previously worldwide had 360 days, was suddenly at any time to 5 days longer. You do not believe in the real 360-day year, but it was there really. Nothing demonstrates this more clearly than the Mayan calendar labels. If the count on the basis of 20 would have been a theoretical construction, so would do this twenty times that of a uinal (20 days) = 400 must be. But one year had 360 days. And all other calendar cycles are both multiples of 360. These are 52 years of Earth à 365 days.With this correction Tzolkin period, they had corrected not only the solar year, but also a relationship to the Venus year established. The Sidereal Period of an object is the time it takes to make a complete circuit of the celestial sphere with respect to the fixed stars. The Synodic Period is the time required to make a circuit of the celestial sphere with respect to the Sun – which is also moving eastward among the stars. The synodic period is always greater than the sidereal period, the difference being due to the apparent motion of the Sun. The synodic period as seen from the Earth (which is now the outer planet with orbital period one year) is 1.599 years.Venus needs thus – seen from the Earth – 584 Earth days, until Venus shows up again at the same point in the sky (Synodical year of Venus).Venus has an orbital (sidereal) period of 0.615 years. Venus needs thus – seen from the Earth 4745 Earth days, until Venus shows up again at the same point in the sky and compared with the stars. (Sidereal year of Venus). 104 Earth years included so all the corrections and the absolute correspondence between the traditional 360-days calculation, the correction of the Tzolkin and sidereal and Synodic Venus circulation. This included the solar year. But the calendar we’re interested in regards to doomsday is called the Long Count. The Long Count, for which we do not know the Maya name, is commonly considered the Maya’s linear count of days. In truth it is yet another cycle, but its great length of at least 5126 years makes it essentially a linear count through history beginning a cycle with 2,880,000 days thus very close to 7885 years. It was assumed that the universum is desströyed and reborn at every end of the cycle. When counting they favored a bas of twenty except in the second place they preferred 18 to aproximate a year, so the units were 20 (month), 360 (year), 7200 and 144,000 (half cycle). That is of course place holding notion. The cycle just ended began on 6. September 3114 BC (Julian Calender). The baktun digits run out in 4772 AD. We’re probably all right until then. The earliest known Maya long count was recorded in year 32 AD at the site of Chiapa de Corzo in the Highlands of Chiapas, Mexico. Just like the Christian calendar, the long count has a start date: ours is January 1 of 0 AD, and theirs (by our reverse engineering) is August 11 of 3114 BC. But unlike our Christian calender, theirs also has an apparent end date, December 21 of 2012 AD. The long count is represented as a five place notation system of ascending cycles – kins (days), winals (20-day months), tuns (360 days), k’atuns (20 tuns), and bak’tuns (20 k’atuns). It is important to note that the long count’s version of a year, the tun, is only 360 days, not the solar count of 365. This means that the long count diverges from the Haab by five days every year, making it a completely unique and separate cycle. The largest of the long count’s five cycles, the bak’tun, is a period equaling 400 tuns. Many people believe that the full cycle of the Long Count is complete when 13 bak’tuns have passed since the beginning of the creation of this current universe, identified as the 4th creation in the Maya “story of creation”, the Popol Vuh. 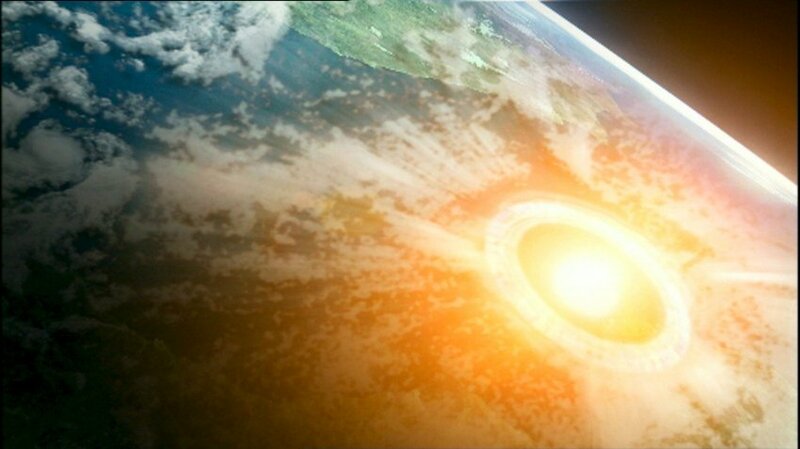 That date, currently of such great interest to those anticipating an “end of days”, will occur on December 21, 2012 AD. Astronomical practices by the Maya and the Mesoamerican system of time-reckoning are exceptional. A period of 260 days in combination with the 365-day year cycle, producing a ‘Calendar Round’ (cycle of roughly 52 years), is a method of marking the passage of time unique in the history of humankind. 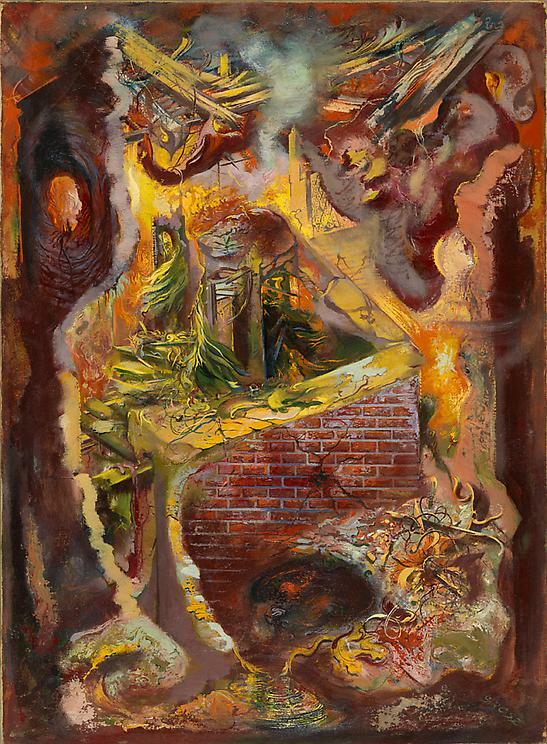 That das not mean a such apocalypse is foretold no Maya text – ancient, colonial or modern – ever predicted the end of time or the end of the world. Apocalypse is a Christian concept. Just a restart, after what Mayas considered a very long time. Noted Mayan scholar, admit that December 21, 2013, marks a special occasion in the ancient Mayan calendar. They hold that December 21, 2012, marks the end of the 13th Bak’tun period. The close of each Bak’tun period occurs approximately once every 5125 years. “There can be little doubt the ancient Maya would have seen the date as a numerological echo of the current era’s start date, and they would have marked the occasion of the 13th Bak’tun with great solemnity and fanfare,” writes Callaway in a magazine article titled Ancient Endings and New Beginnings: Maya Cosmology, Just in Time for 2012. The doomsday scenario is simply a human concoction. If anything, it would seem, that the image of the apocalypse in the name of the Mayans is a convenient projection to project a large section of our own society’s subconscious fears, insecurities and fantasies we certainly have in the west. Throw that in for completeness. Nothing unusual. Quite loaded but no doomsday. Two Twelver cycles later, happy 2012 close of each Bak’tun period. “The greatest threat to Earth in 2012, at the end of this year and in the future, is just from the human mind” C.G.Jung would have said. The word “Apocalypse” (revelation) is from the Greek meaning “uncovering what has been hidden.” In other words, the revelation of new truth. It is a concept very evident in Christianity and separates in four phases: revelation, judgment, destruction, and a new birth. If we look back over centuries, we see the revelation of torrents of new scientific, psychological and social truth; judgments or assessments made on the basis of this new truth; the collapse of beliefs and institutions based on the former truth, and are becoming dysfunctional within the context of the new truth; and the sprigs of the new worldview trying to blossom. Destruction and new birth take place simultaneously in Hinduism, although the popular use of the word apocalypse means now total destruction. When Christianity took over the Roman Empire and became the second truly global organization (and the only one which still exist in Roman Catholicism) it was because Jesus articulated and manifested what had been gradually growing in the collective psyche, the political circumstances were ripe for a revolution and the Roman citizen’s vision, will and spirituality broken. All essential of a state were outsourced and the succession of rulers changed from bad to worse. It might be said that evangelist were the master psychologist of his day. Jung once said he loved to read the Bible not only for its spiritual insights, but also for its psychological significance. Again we’ve so completely alienated ourselves from nature and its essential role in the human psyche, and our state of knowledge and psychic development are driven by a media time, the concept of the global Now, the Bible no longer has the same numinosity to many in the West. So to summarize: the Mayan hype December 21st is the faint memory of the “archetype of the Apocalypse” essentially of numinosity. The concept of the “global Now”, knows no God, certainly no Past and no Future anymore. People remember archetypes like the Zombies, who (or which) wander aimless in the shopping center, since that was once the center of their life. George A. Romero conceived this allegory brilliantly in the best legitimate zombie film ever, ” Dawn of the Dead” (1978). Likewise The collective “mind” of the twenty-first century seemed to have been obsessed with Apocalypse. There is little doubt that the culmination of this obsession echos destructive capabilities of the financial market (aptly named new world order) for political and social autonomy. Thus, it may be the an unconscious “death wish”, a psychological problem which Jung’s patient ( and the first female psychoanalytic) Sabine Spielrein discovered in her paper, ‘Destruction as a Cause of Coming into Being’ (written immediately after she graduated with top honours). A death wish expressed collectively for its civilization–like once the Romans– which understand and avert its own demise. Read a German newspaper for instance – the death wish of a society – which does not even want to breed anymore – is printed all over the place by zombie journalists. Tags: Bak'tun apocalypse, collective unconscious, death wish, Mayan calendar, Yucatan. Bookmark the permalink.